Best Substitutes for Shaving Cream. When you're pressed for time and out of shaving cream, you can substitute it for a lot of the products found in your bathroom. Try the best substitutes for shaving cream and learn how you can make your own shaving cream alternative, a natural home made shaving cream. Use shampoo when you're looking for a simple shaving cream alternative. It can clean your skin efficiently and remove any pollutants from it. Hair conditioner might be an even better solution for shaving without shaving cream, since it helps soften the hair. While soap doesn't lather as well as shaving cream, you can reach better results with a creamier soap. 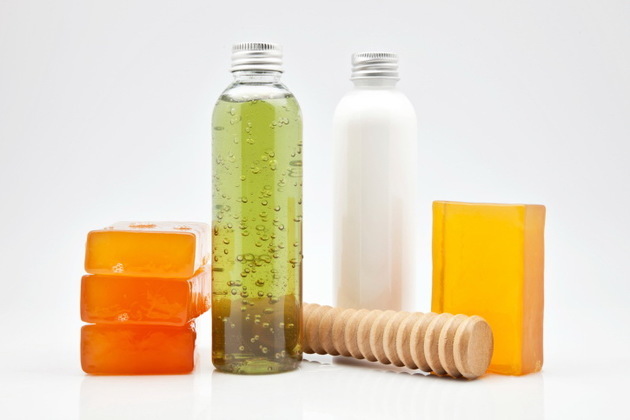 Glycerin soap is the ideal product that you can use as a substitute for shaving cream for women and even the cheapest razors work well with it. An excellent way to prevent cuts and irritation, baby oil is also free of any chemicals that might upset your skin. The only downside to using baby oil as a shaving cream substitute is that razors don't glide over the skin as easily. You'll also need to clean it a few times during the process to get the best shave. With many of the same qualities as shaving cream, lotions can become great substitutes for shaving cream, whether you prefer using body lotion or hand lotion. The moisturizing effect on your skin is another plus. A great emollient, sweet almond oil lubricates your skin the right way. Similar substitutes for shaving cream include olive oil and apricot oil and you'll never need to ask yourself how to shave without shaving cream ever again. Shea butter is another excellent alternative to shaving cream and it also acts like a good after-shave balm. If you're out of every liquid cosmetic product that can act as a shaving cream substitute, peanut butter can also be used. However, its smell can linger on your skin. You'll need a double boiler, used for melting the chunk of glycerin soap. Add the sunflower oil before all the glycerin is molten, mix well and pour it in a mug once it's all liquefied.